Trouble-Free Cutting And Peace Of Mind: New Holland H6000 Series heavy-duty disc mowers breeze through the toughest conditions to give you a clean, even cut in less time. Discs spin up to 3,000 rpm, producing a knife tip speed of up to 187 mph to slice through dense, wet grasses, fire ant hills and gopher mounds. Select from four heavy-duty models, including a pull-type model with a cut width of over 10 feet. Peace Of Mind Direct From The Factory: When you buy any H6000 Series disc mower equipped with a MowMax disc cutterbar, it is covered with one full-year of base factory warranty, plus two additional years of disc cutterbar coverage. 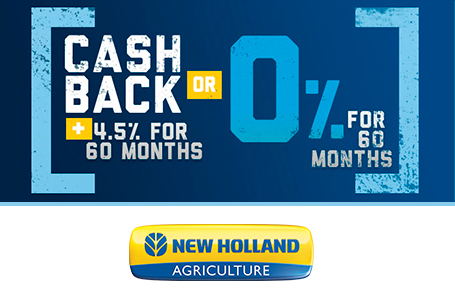 You cut confidently when you choose New Holland. 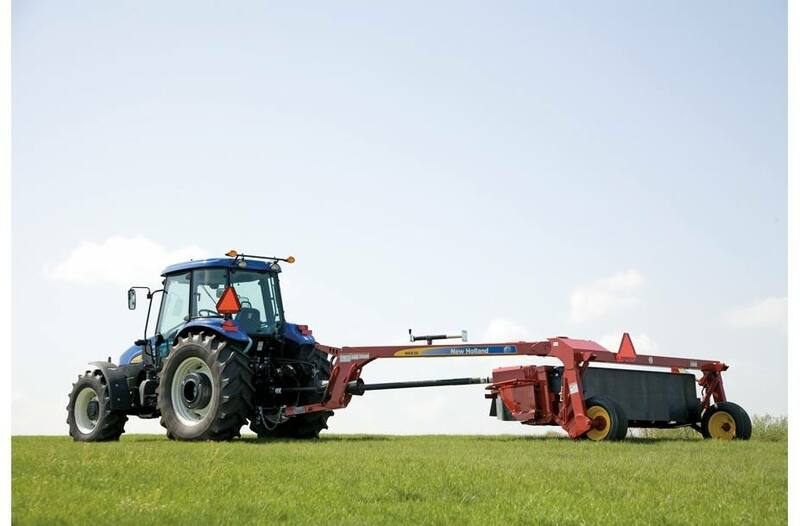 Cleaner Cutting, More Durabilty And Less Downtime: New Holland's proven MowMax™ cutterbar sets the standard for the industry. With its true modular design, each disc module is an individually sealed gear case with a dedicated oil reservoir. Even when cutting on slopes, there's never a problem with oil starvation to the upper side. Each case is connected with independent, hardened alloy drive shafts, instead of a single-piece drive shaft that can twist. 3-Year Mowmax™ Disc Cutterbar Warranty: New Holland backs the MowMax™ disc cutterbar with three full years of factory warranty. That’s three full years including the base one-year base machine warranty plus two additional years on the cutterbar assembly excluding common wearing parts. 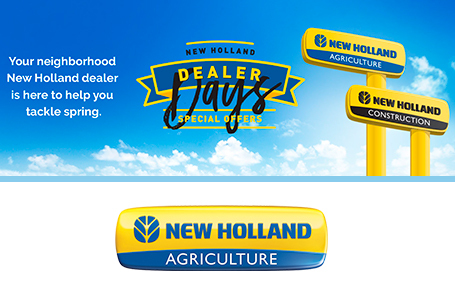 See your authorized New Holland dealer for complete program details. Faster, Easier Servicing With Shockpro™ Hubs: When the mower hits an obstruction, ShockPRO™ hubs—standard on all MowMax™ cutterbars—absorb the shock of an impact before damage to the cutterbar driveline can occur. If a ShockPRO hub fails, replace it in just 10 minutes, at minimal cost. Cleaner Cutting With Mowmax™: The MowMax™ cutterbar features lower-profile rock guards to allow closer cutting at a flatter angle. Large disc overlap ensures cleaner cutting, and counter-rotating discs are less prone to streaking. Cutting knives feature a cutting edge on both sides for twice the cutting life when flipped. Choose the standard 14-degree smooth knives, optional 7-degree knives, optional 14-degree serrated knives for working in sandy or abrasive conditions, or specially designed reversible rock knives that extend life when working in rocky fields. 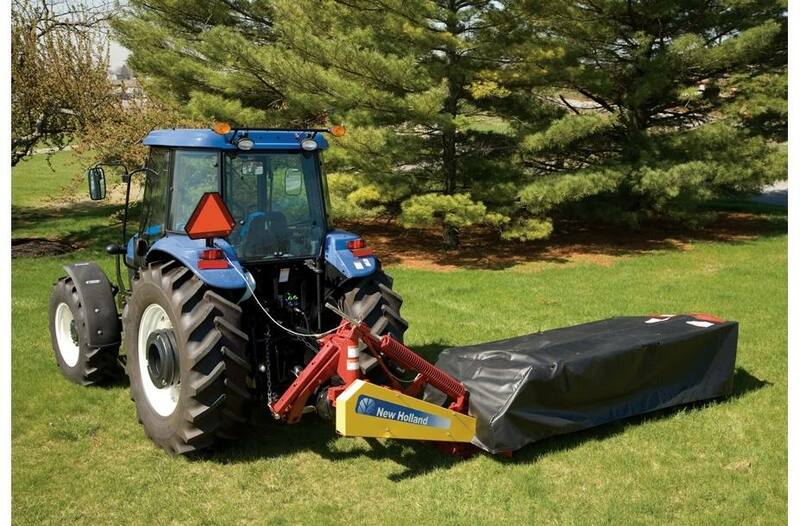 A New Level Of Disc Mower Productivity: The eight-disc heavy-duty H6830 pull-type disc mower combines the benefits of a wide 10-foot, four-inch cut with easy hookup and a low horsepower requirement. In-Field Flotation: The H6830 header is suspended from the main frame of the machine. Large flotation springs allow the header to float both vertically and laterally for even cutting in uneven terrain, preventing damage and bulldozing. You can adjust the flotation spring tension easily by turning the anchor bolts. Tight Turning, Narrow 10’10" Transport: The primary PTO uses an 80-degree constant velocity joint that permits tight turning. 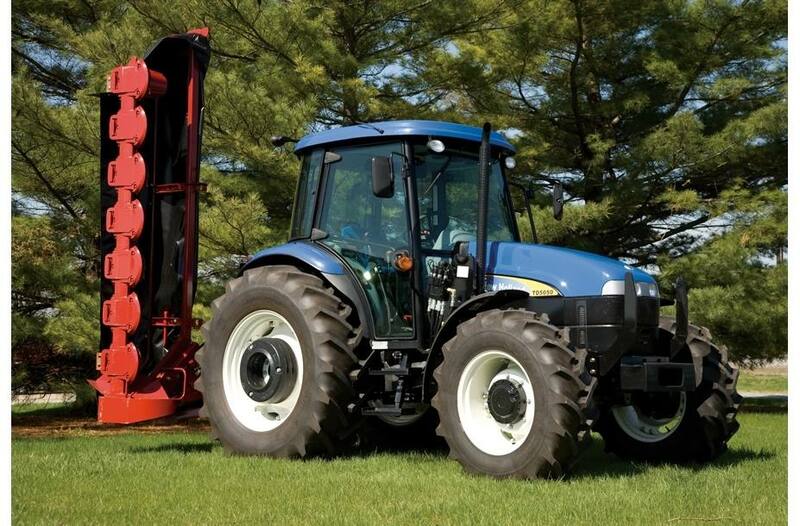 A secondary CV driveline option allows you to mow in the transport position to “steer” around field obstacles on the fly. Hydraulic tongue swing allows you to power the machine from transport to operating position and back. End shields flip up for a narrow 10-foot, 10-inch transport width. Wide 95-Inch Swath: Wheels are located inboard of the cutting edge to eliminate run-down of uncut crop. Crop deflectors direct the cut crop inside the tire path and into a wide 95-inch swath. Smooth Cutting Performance: Three 3-point-hitch-mounted H6700 Series disc mowers feature simple and convenient operation and transport. Use them to mow fields, roadsides and around your property. Automatic Reaction To Field Changes: A flotation spring on H6700 mounted mowers allows for vertical cutterbar movement over field obstructions. In addition, a spring-loaded breakaway latch allows the cutterbar to swing back if it hits an immovable object in the field. Change Quickly From Field To Road: When you’re ready to hit the road, use remote hydraulics to raise the H6700 mounted mowers to a locked vertical transport position. A removable parking jack stand and convenient onboard storage location are provided on both mounted and pull-type models. PTO shaft spline/size required: 6-spline/ 1-3/8"